ABC Television Network’s The Conners spinoff — the series moving forward without Roseanne Barr after the Roseanne revival was swiftly canceled following Barr’s racist tweet — began production today with a first look photo revealed from the Warner Bros set (via Deadline). The photo features stars John Goodman, Laurie Metcalf, Sara Gilbert, Michael Fishman, Lecy Goranson, Jayden Rey, Ames McNamara, and Emma Kenney. Check out the full Connors photo in the gallery below! On the new show, after a sudden turn of events, the Conners are forced to face the daily struggles of life in Lanford in a way they never have before. This iconic family — Dan, Jackie, Darlene, Becky and D.J. — grapple with parenthood, dating, an unexpected pregnancy, financial pressures, aging and in-laws in working-class America. Through it all, the fights, the coupon cutting, the hand-me-downs, the breakdowns — with love, humor and perseverance, the family prevails. In June, The Conners was greenlit to series with an order of 10 episodes for fall 2018. 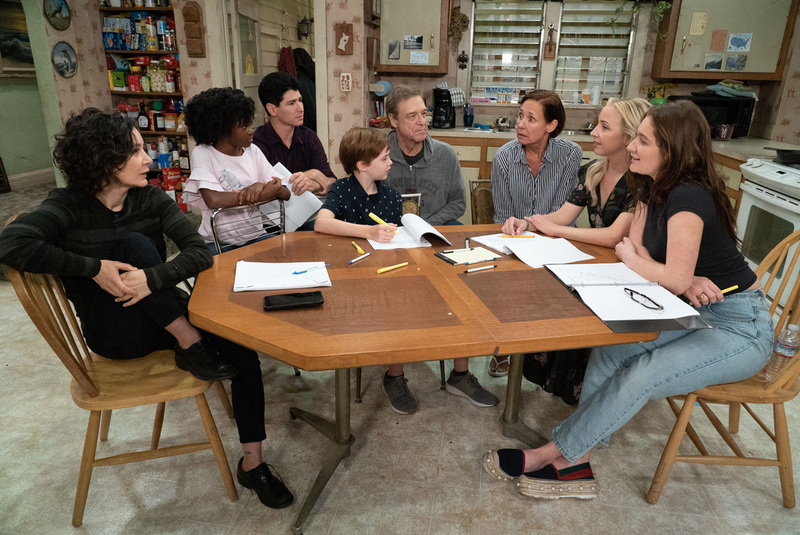 The series, featuring John Goodman (“Dan”), Laurie Metcalf (“Jackie”), Sara Gilbert (“Darlene”), Lecy Goranson (“Becky”) and Michael Fishman (“D.J.”) as their beloved Conner characters, is set to air Tuesdays (8:00-8:30 p.m.). 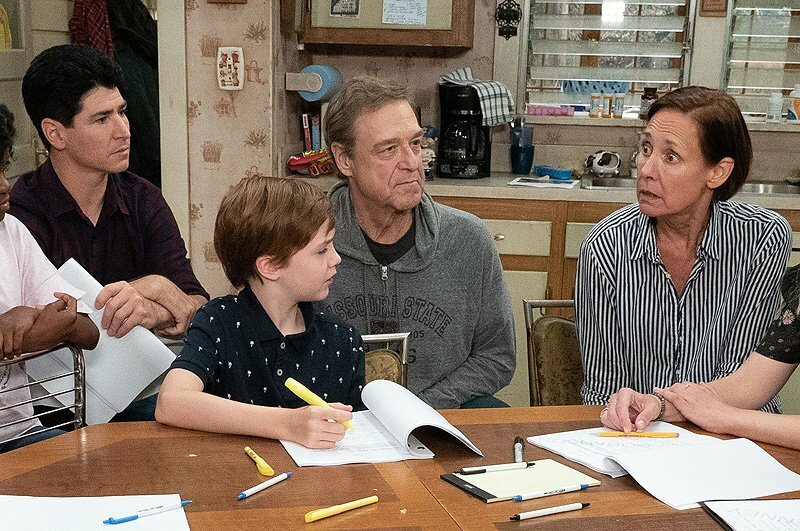 The post First The Conners Photo as Production Begins on Roseanne Spinoff appeared first on ComingSoon.net.